Today's guests have been going as a band since 2001. They have released only one album under their own name back in 2007. But they have released split albums with Yawning Man and Treasure Cat. 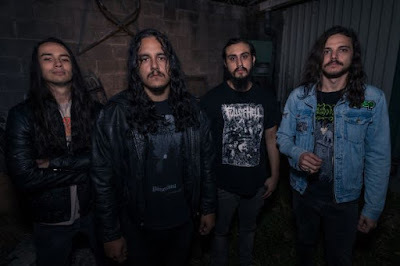 They have also released split singles with legendary Stoner Rock outfit – Karma To Burn. I have been a fan of this superb Dark Rock collective for a long time now. I have featured them a couple of times on the blog over the last 6 months or so. 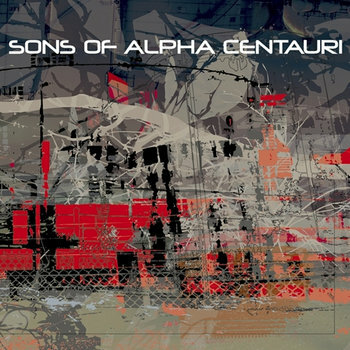 So I have been given the chance to interview one of the UK's finest and most creative Instrumental Rock bands – Sons of Alpha Centauri. Q1 – Hi guys. Thanks for doing this. How are things with you all today. Marlon – Yeah, things are good with us thanks, we’ve just been appreciating the best UK weather since 2010. Q2 – Can you tell our readers a brief history on how the band started and where it is today. Nick - Ok... So yeah we formed in 2001 and wrote 35 songs before compiling a 12 track debut. The debut wasn't necessarily the best 12 tracks of the 35 but represented the spectrum of music we were playing. From there we went onto collaborate with different artists and then went on to pursue a series of vinyl single releases. Now.. we feel that we're ready to start the second album. Q3 – So. How would you describe your sound. As you truly have a strange and wonderful sound that you don't come across that often. Nick - Thank you! Our love of electronic and ambient music has had a input into the band and I guess none of us really listen to any bands that are 'new' particularly. When we started rather than tie ourselves to a specific genre and grow from there we played lots of different styles and built on each one. Eventually with the aid of electronica and orchestration we have started to meld them together. We want to express a darker and more sinister edge. Q4 – How did you all become involved with music. Nick - Well for me it was a case that I didn't want to play football at lunchtimes anymore so I started hanging out in the music rooms and learning from watching people play. Eventually, I managed to get a few of us together enough to start playing and writing music. I formed my first band with guys in my music class and anyone else we could scramble together that could play an instrument. 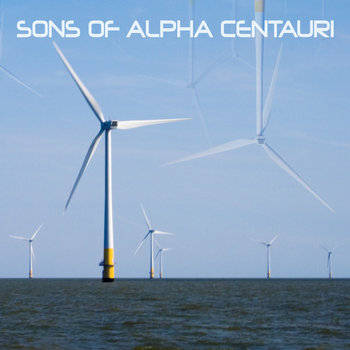 Q5 – Why the name Sons of Alpha Centauri. Any specific meaning behind it. Nick - we don't want to be part of a scene or a crowd. Don't get me wrong, we're nice enough but ultimately we feel a greater purity away from others and want to standalone artistically. The name is about us being separate and originating from somewhere else. Q6 – You have been going since 2001. It's hard to believe that not a lot of people know about your band and music. Is that something you're proud of. Or something you want to change. Marlon – Don’t get us wrong, we haven’t deliberately avoided fame and fortune; it’s just been given a lower priority than most bands would probably give. We are heavily focused on our song writing and the band is heavily theme based. A lot of the time we can find ourselves going off on a tangent, and sometimes it can be a good few months before we reel it back in. But it doesn’t faze us, as long as we are enjoying the music, we will continue to write/release our tracks and eventually, more people will get to hear it. Q7 – You released your debut album back in 2007 which I am a huge admirer of. But since then you have only released split albums and singles with other bands. 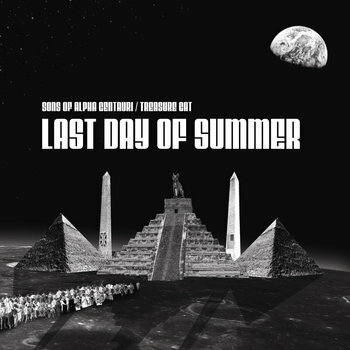 Will there be a new Sons Of Alpha Centauri record anytime soon. Marlon – I can tell you there is definitely a second album on the horizon, which horizon though is a another story. We have already written nearly 30 new tracks towards this second album and so far we are really happy with the results. We are aware it’s been a while since the debut and have appreciated all the positive feedback from it. All I can say is hang-in there guys, not too much longer now. Q8 – Let's talk about your collaborations with other bands such as Yawning Man, Karma To Burn and Treasure Cat. How did they all come about. Nick - when the debut came out in 2007 rather then jumping straight into a second album and the promo mill we thought that a different approach in order to learn and grow as musicians would be to collaborate with established artists. The collaborations we hoped would enlighten and grow us as band to enhance the second album beyond the experience that just starting a second album would do. I had been doing a lot of work with Karma to Burn in the mid 2000s by sending over their bootleg tapes so working with Will (Mecum) was the obvious first choice. Q9 – My personal fave collaboration you participated with was Treasure Cat on Last Day Of Summer which I reviewed recently. That is such a fantastic sounding album though very dark at the same time. What was the original intention behind that record. Nick - Yeah, that was the first of the collaborations. For me, getting into the studio with Will was a bold step for SOAC as a band. He was someone who held a lot of influence for me as a musician in terms of terms of riffs and hooks so to try and meld the two styles together and get the record that we got was a rewarding experience. Also, you know he had come from that 90s American Roadrunner scene which was a long way from where we were (or are) so I think we learnt more from that record than anything up until that point as a band. And of course, that record was more than just a simple start and finish project - it was the start of something much bigger between the participating artists. Q10 – Plus you recently released a split single with Karma To Burn. Was that an easy decision to make to work with Karma To Burn. Nick: Totally! Karma to Burn both as a rock and as an instrumental band were influential on early SOAC and after the Treasure Cat split then the Karma to Burn collaborations and split singles just all fell into place and felt natural. The two bands complement one another now and we've toured, released singles and it's more of a partnership now. I just wrote the biography and one sheet for the new KTB album 'Arch Stanton'! I think that we'll complete a trilogy of the Karma to Burn / Sons of Alpha Centauri 7" split releases and see what happens from there. That said, we don't intend for there to be any new collabs until the second album comes out. Q11 – What is the song-writing process in the band. Is it down to one individual or is it a group collective. Marlon – The song writing process with SOAC tends to vary considerably. A lot of the original tracks from the debut with their intricate guitar passages were written solely on guitars by Nick and me with no backing. However equally we will have complete band writing sessions where we jam out a riff and develop it as a band. Some of the darker tracks will start off by Andy writing an ambient passage which as a band we then develop the track around. Q12 – How big of a help has BandCamp and the Hard Rock community been in promoting your music. Nick - It's been handy sure. I see a lot of those websites though as a bit trendy and after Myspace imploded I haven't really spent much time investing in any third party websites outside of our own really. I still really just like bands own websites - they have a lot more identity and character to them. Q13 – What is your verdict on the current state of the UK Hard Rock Scene. Do you see yourselves apart from that scene. Or is it something you haven't really noticed. Nick - As far as I can tell it seems pretty good with lots of UK bands touring and playing together. We don't see ourselves part of the UK hard rock scene though. We've never really 'hung out' with other UK bands or toured with them and as we're in the middle of Sheppey we're pretty isolated but those who we do know seems like good people I guess. But that works for us. Q14 – Do you perform many gigs in your home-town or do you have to travel further field to perform on a regular basis. Q15 – What is your musical set-up when playing live or recording your music. Any hints and tips would you like to give to the budding musicians out there. Marlon – I love the sound of Marshall amps, so my personal preference is always to use them. I had one of the newer HDFX models originally which was great for when we were playing local shows, I now use a JCM800. Our Bass sounds go through Fenders, namely an old school 70s bassman. That said, you don’t always need retro equipment to get a decent sound or the sound you want. We use them as it gives us more flexibility recording wise. Q16 – What is your verdict on the whole crowd-funding scene. Where bands ask fans to fund their next album. Are you a fan of that platform. Would yourselves ever go down this route. Marlon – The music industry is changing and adapting with the times, I think the crowd funding scene reflects exactly where the future of music is heading. The latest generation believe that music should be free, which is a nice concept, however the unfortunate reality is that it costs a lot of time and money to make. Crowd-funding is one way of showing there is a demand for music which otherwise is unable to be made due to a lack of funds. Nick - don't change members unless you really have to and stay friends. Marlon – Sounds very simple but; finding like-minded people so the sound you are going for doesn’t get thrown around and split between members… it can be difficult enough to find musicians these days but don’t compromise the band if the goals aren’t the same. Remember that band rehearsal isn’t your own instrument practise; you need to always work on your own technique and have ideas to bring to the band. Rehearsals will always have their own challenges and not being able to play something shouldn’t be one of them. Q18 – So what exciting projects do you have in store in the future. Anything you can share with us here. Marlon – We always have a number of tracks being turned around and several projects that come along with that. The last few years we have been very focused on our vinyl releases however at the moment we are focusing on the second album and hope 2015 is the year. Couldn’t possibly tell you what other secrets we have up our sleeves at the moment though, you’ll have to wait and see. Nick - Thank you to everyone who has taken an interest in the band and continues to support us and being patient. We appreciate that we've been around 14 years and are just about to start the second album - please keep the faith and for us all, this is still just the beginning! Karma to Burn & Sons of Alpha Centauri play the Camden Underworld on the 30th August for the sole SOAC show of the year. 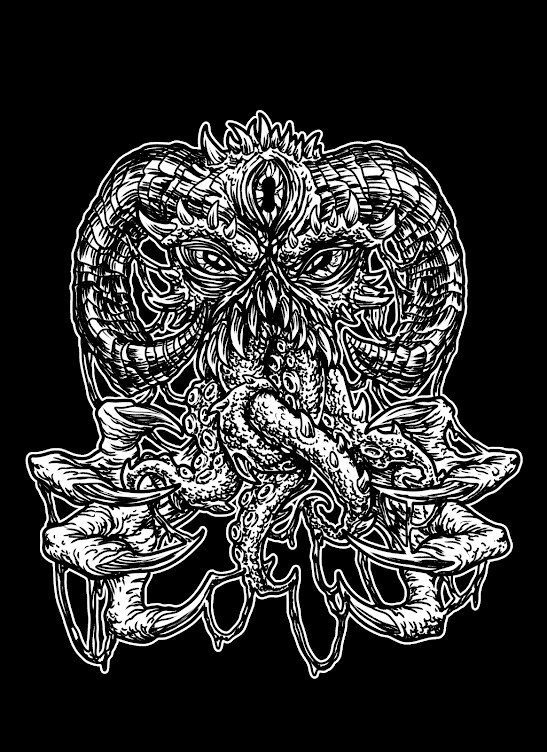 The night will feature the exclusive release of the clear version of the split 'Sons of Alpha Centauri / Karma to Burn' 7" split available for one night only! Well guys. Thanks for doing this. Really appreciate this. Hope SOAC make as music for many years to come.